This is day 6 of my 31 days series: making a house into our CASTLE. You can read more about that here. Jane Austin really knows her stuff. This quote is from Emma, which is my favorite book. It is such a good read! 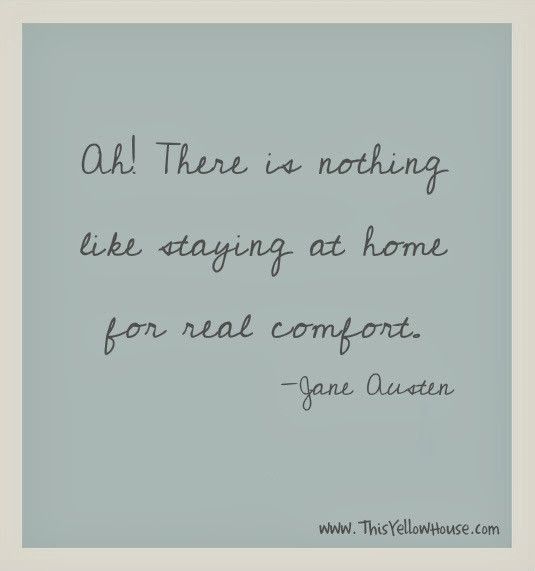 This quote sums up how I want our home to feel. I am spending some time with the family today. I will be back with more of my series tomorrow. I hope everyone is enjoying their weekend! !